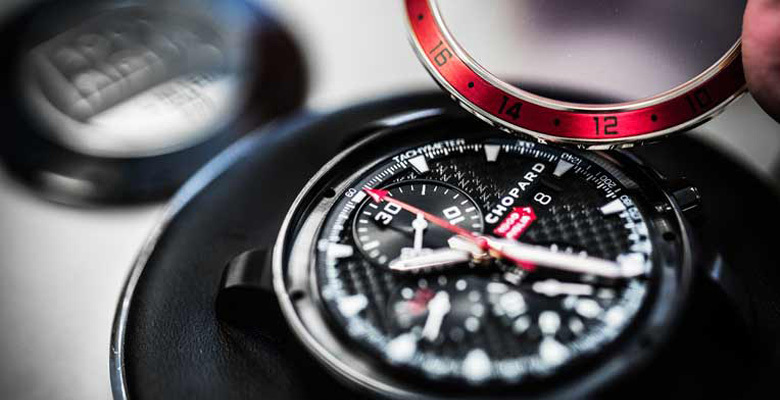 Independent watch brand Chopard has introduced a new version of its iconic Mille Miglia model and it further strengthens its already close ties with motor racing because this model is a partnership between the Swiss watchmaker and Milanese coachbuilder Zagato. There will be two limited editions of 500 copies. Im surprised this collaboration hasnt taken place before since it seems such fitting one. 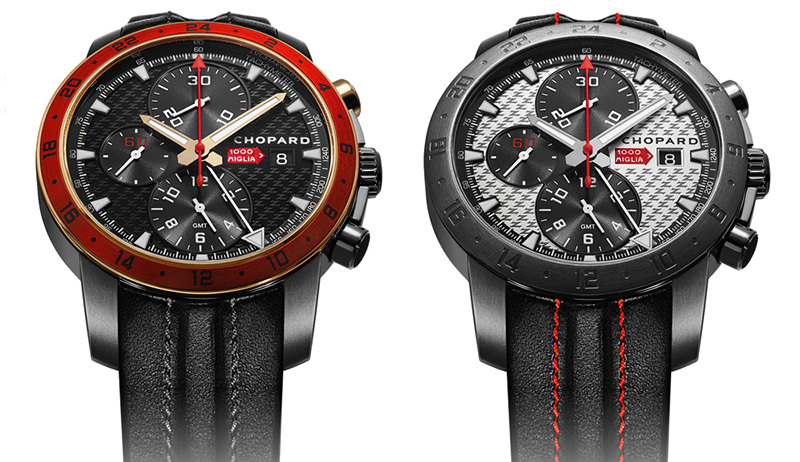 Apparently Chopard co-president Karl-Friedrich Scheufele met Andrea Zagato at the Mille Miglia race where he was participating. 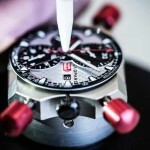 The two decided to collaborate on a special Mille Miglia limited edition to celebrate the 25th anniversary year that Chopard has not only been sponsor and official timekeeper of the famous Mille Miglia, but also has been annually producing a limited edition chronograph to commemorate their involvement. So the same passion for cars and the classic Mille Miglia linked the two men with shared values and their respective companies became closer as a result. 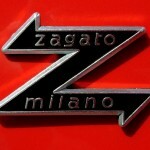 The Zagato studio was founded by Ugo Zagato in Milan in 1919 and is an independent coachbuilding company and total design center. 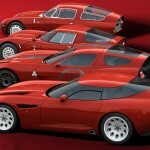 In nearly a century of history, they have worked with leading manufacturers, including Ferrari, Lancia, Maserati and more recently with Aston Martin and Bentley ,however the manufacturer that has probably contributed the most to their fame is Alfa Romeo (The Alfa’s Custom Zagato won four thousand Miglias: 1928, 1929, 1930, 1933). 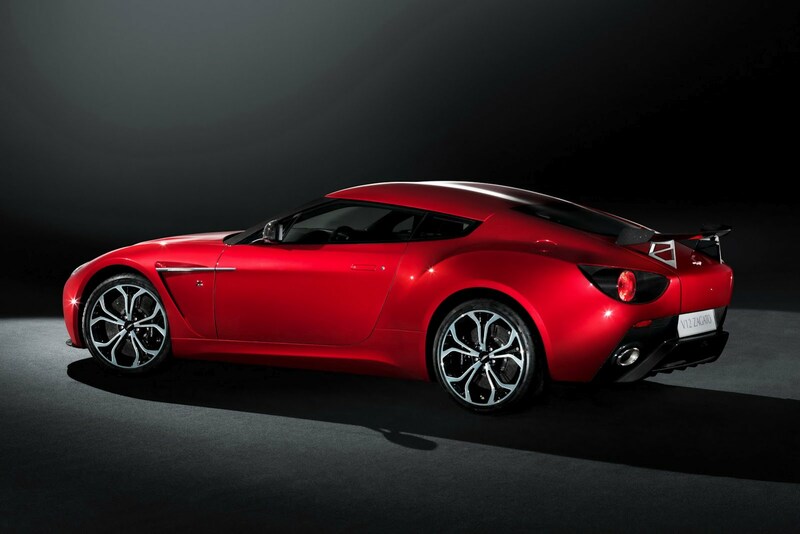 But the specialty of Zagato has always been the Gran Turismo (Grand Turismo) – cars capable of being used on an everyday basis, comfortable and well-finished, yet sufficiently sleek and aerodynamic to race at weekends on the leading circuits. 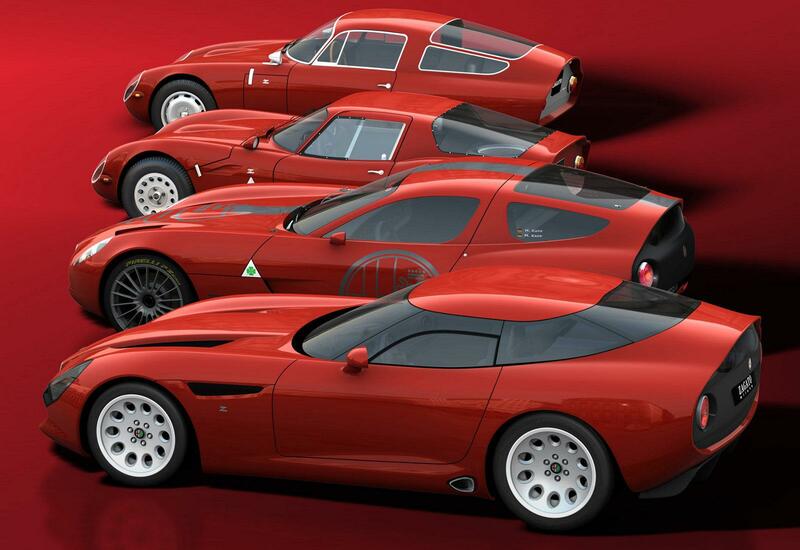 It is this vocation, at the intersection of luxury and sport mechanics which is partly the inspiration for the first collaboration between the Geneva and Milan companies: the Chopard Mille Miglia Zagato. 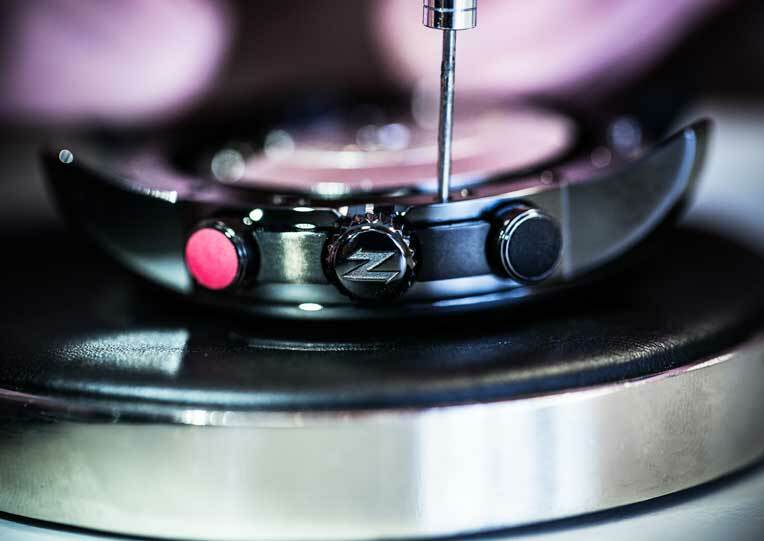 Chopard and Zagato are both independent family businesses dedicated to the creation of fine technical objects made in workshops specific to each house by skilled craftsmen, with constant attention to detail and excellence in a mind. 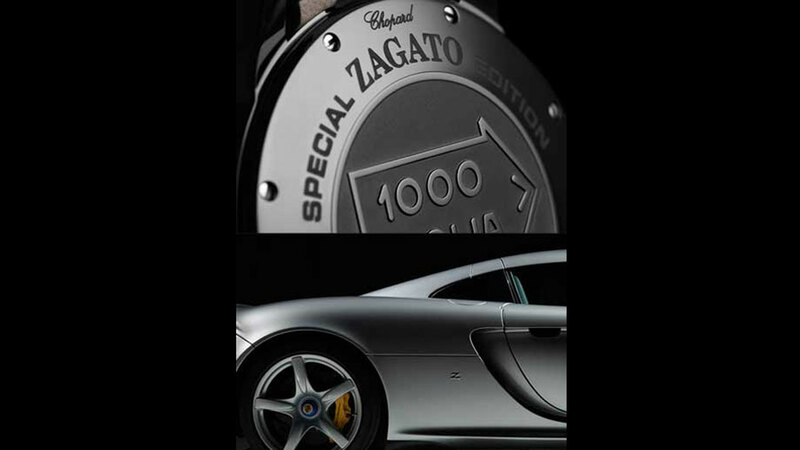 This watch is the result of a dialogue between these two brands so lets take a look at it. 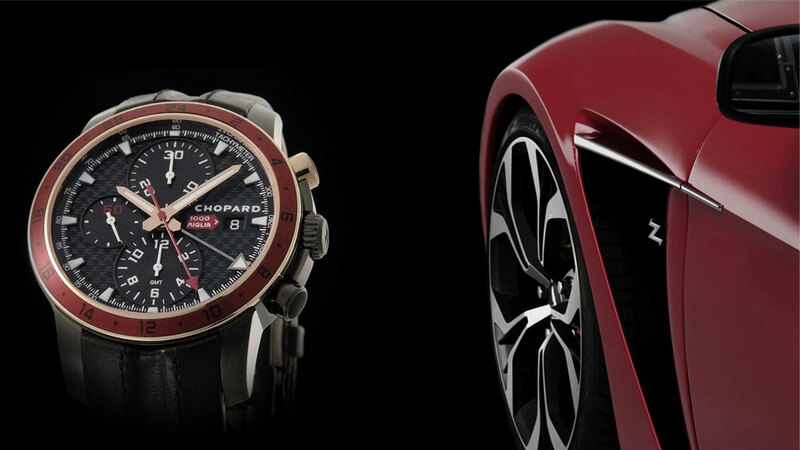 The 42.5mm diameter, 14.85mm thick watch case has been designed by Chopard but the angular, sharp-featured curves recall Zagato bodywork and give it a sporty character. 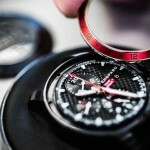 Its available in two variations; firstly a black DLC coated stainless steel version with matching engraved steel bezel, a coating technology chosen for its high resistance to scratching, and the second version features the addition of an 18-carat rose gold bezel with a bright red aluminum insert for the 24-hour time indication. 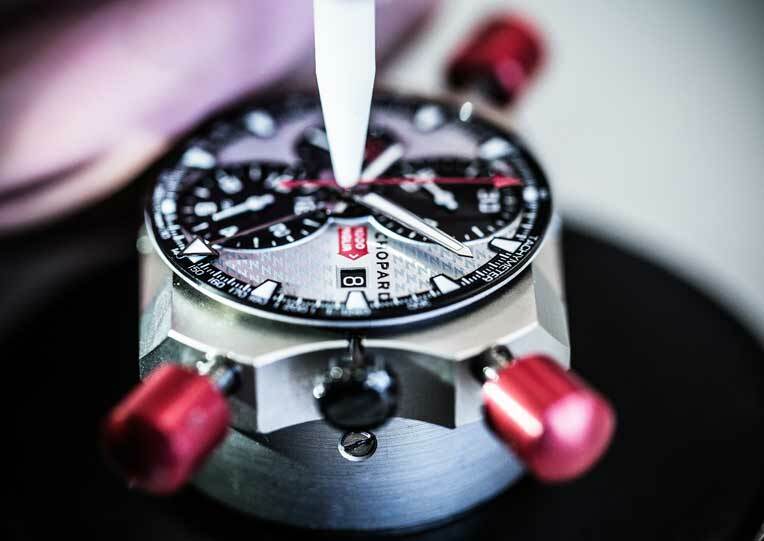 In both versions the chronograph pusher has a red-lacquered tip, which is a signature colour for both Zagato and the Mille Miglia. 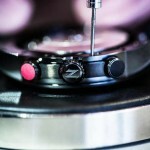 This also complements the colouring of the the bezel in either black or rose gold. 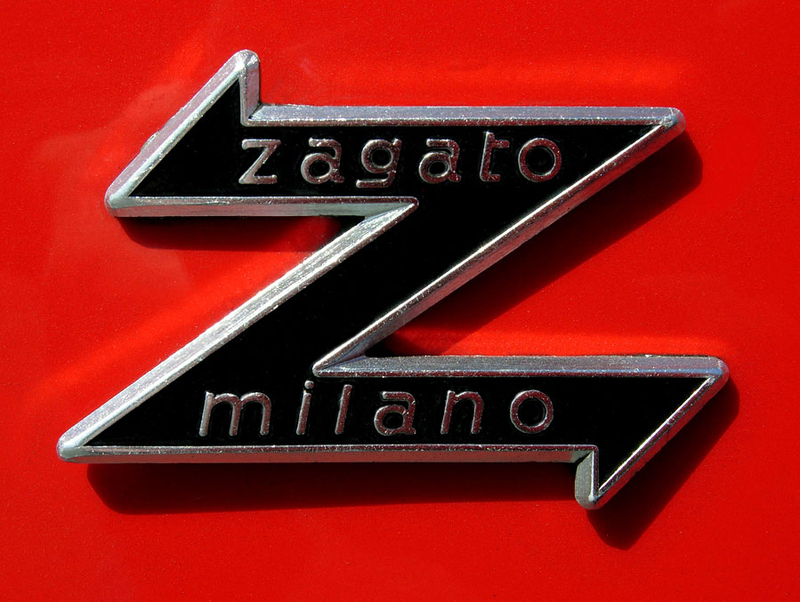 The crown is adorned with a Zagato “Z” and marked on the caseback are a “1000 Miglia” arrow logo, “Special ZAGATO Edition,” and “Limited 500”. The legibility of the dial is, like most Mille Miglia watches pretty high and there is lots of SuperLumiNova lume on the hands and hour markers, and the proportions well balanced. 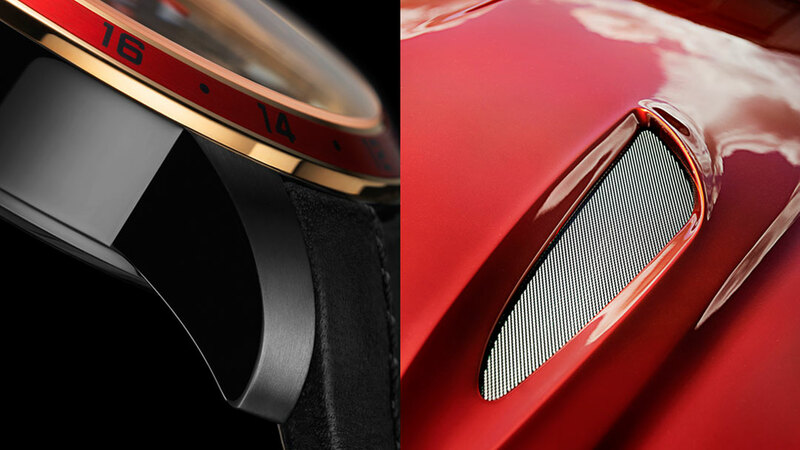 The dial has undergone the process of customizing exclusive to Zagato and is shown with some subtle “Z” patterning intended to mimic Zagato radiator grills that reveals itself only in certain lighting conditions . 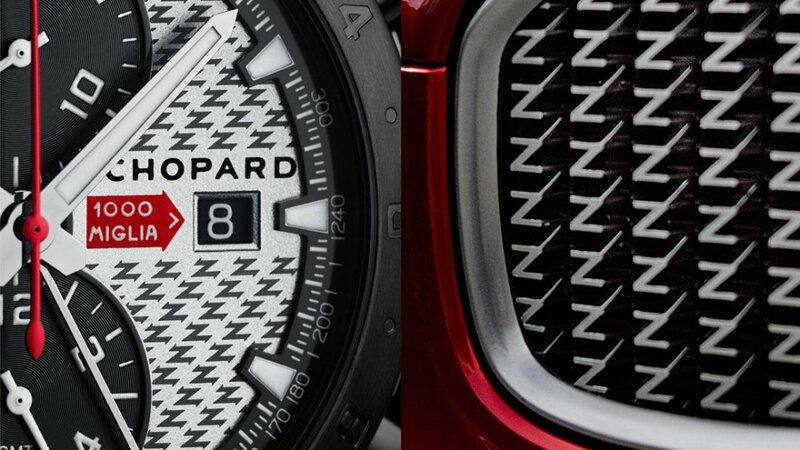 The patterning is somewhat reminiscent of Carbon Fiber, a material often associated with motorsport, its probably not to everyones taste, some may find it too busy combined with the chronograph complication and Tachometer scale. Mille Millia models often feature a reverse mounted magnifier lens over the date something Im not really a fan of and Im glad to see it omitted this time as I think it would make the dial too fussy combined with everything else. 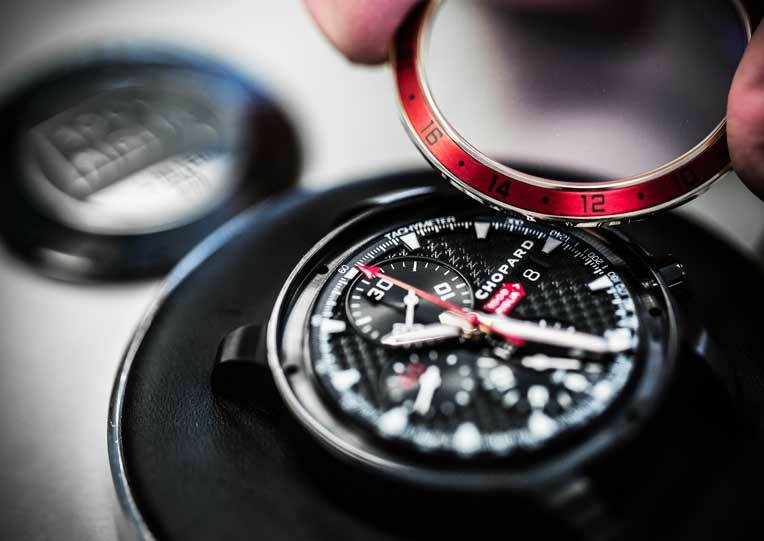 With a red dial this watch is very sporty and one you would rather wear on specific days -when you would expect to get some attention- although its nowhere near as flashy as the Chopard Mille Miglia GTXL Rosso Corsa with its bright red dial treatment. The movement or in this case I am tempted to say engine is an automatic chronograph with date and second time zone, the ubiquitous and ever-dependable ETA/Valjoux 7750, a movement often used in the Mille Miglia model and chosen by Chopard for its reliability and sturdiness. 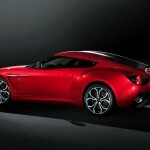 It has a COSC certification guaranteeing its precision. There is no transparent caseback this time so you cant see the movement but its one you’ve probably seen a number of times before. 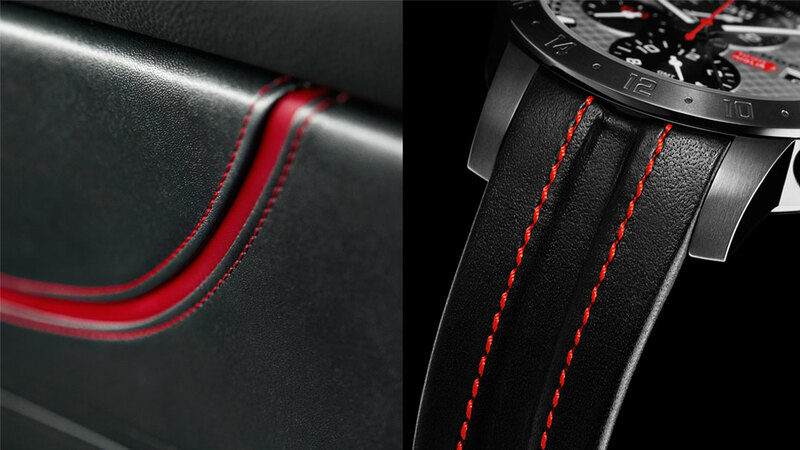 The watch isn’t mounted on the the famous tire tread style rubber strap of many Mille Miglia watches instead its been replaced by a bareina leather one with a hollowed-out central groove and bright red stitching which recalls the typical features of Zagato upholstery. 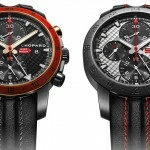 Chopard watches are intimately associated with the world of motor racing and Zagato has given us distinctive bodywork design with a unique aesthetic philosophy, in both cases working by hand takes a dominant role so lovers of this model will be excited to learn of this new collaboration which adds visual enhancements to the core design of the Mille Miglia model whilst retaining its strong signature design. 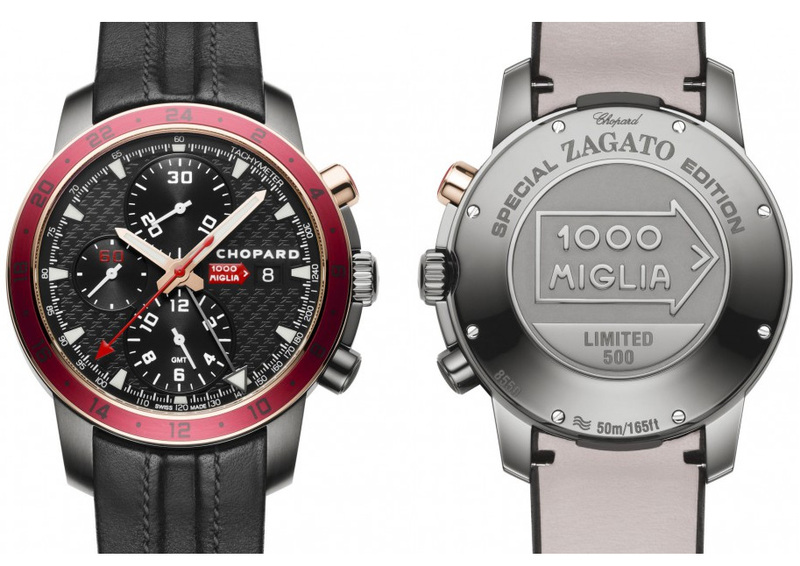 The all steel Chopard Mille Miglia Zagato Chronograph is priced at $8,100 while the 18 carat rose gold accented model is $9,900 and only 500 pieces will be made in each color . 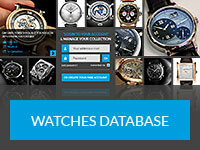 They are exclusively available through Chopard boutiques and Chopard e-commerce. 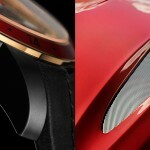 More resources about the Chopard Mille Miglia Zagato available on Hodinkee, and Perpetuelle Blog. 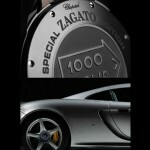 Or you can check Official Chopard Website, and Zagato Official Website.